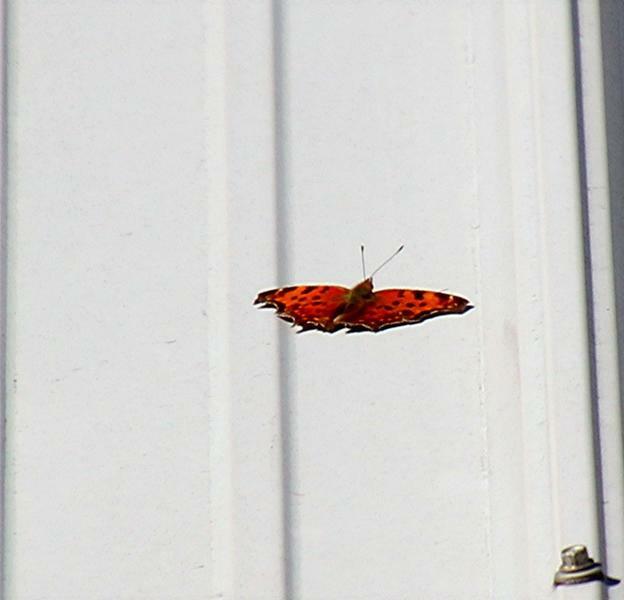 At 11:25 am I spotted this Eastern (Polygonia) Comma in flight. Followed it as it landed on our barn roof. 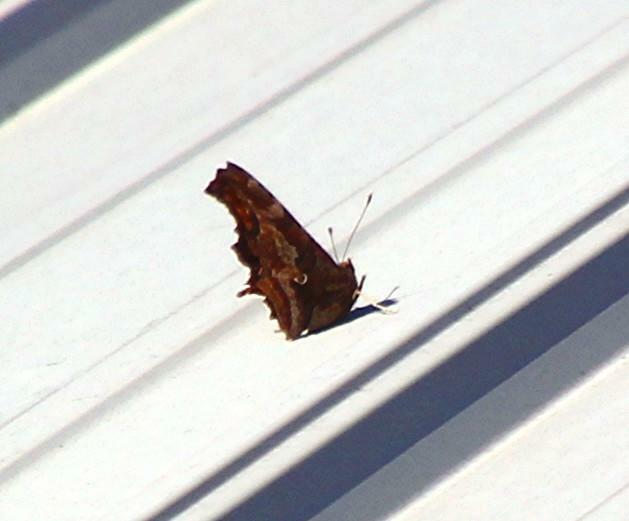 It stayed some time sunning itself before it left.